Home Blog How Do You Plan Homeschool Activities? How do I plan homeschool activities? 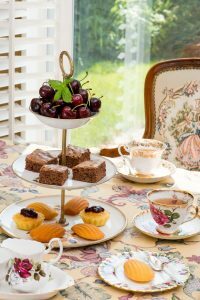 Yesterday, I was enjoying a wonderful afternoon tea with my daughters. They enjoyed every moment of it. There were homemade mini cakes. Egg salad sandwiches. Cucumber sandwiches. Earl Gray and Chai teas. Even small peppermints to refresh them afterward. We would only be eating three eggs this week. Not only that, but we would also cut down the sweets for the week. Along with the meat, butter, cheese, and sugary delicacies we normally eat. You see, we’re reading The Lion, the Witch and the Wardrobe by C.S. Lewis. And we’re using the entire book as a unit study. The chapters are grouped into separate readings. Each group has a set of activities. Last week, we completed chapters 1 through 4. Included in those chapters were the afternoon tea and the rationing activities. Of course, my children celebrated the afternoon tea. The other nearly brought my oldest to tears at the grocery store. She couldn’t buy her favorite chocolates, doughnuts or even ice cream. But that’s only one way we plan our homeschool activities. Another is through delight-directed learning. Although it is a new term in our homeschool, that is what we have been doing. For more on delight directed learning, check out this article. One of our read alouds talked about the metamorphosis of a caterpillar. So, we decided to make plans to go to the nearby Butterfly Gardens. I wrote it in my homeschool planning notebook. Then, entered into my digital planner later. I love that my digital homeschool planner syncs with my Google calendar. It makes planning quick educational outings easy. It also keeps me from overscheduling my day and draining my children. For my youngest, I start the day with songs that begin with the letter of the day. She loves Disney, so we are pulling songs from the Disney repertoire. After hearing “A Spoonful of Sugar” from Mary Poppins, the girls decided they wanted to watch the movie musical. So, I pulled out my homeschool planning notebook. And I wrote it down for our Friday movie. Of course, to purchase (or rent) and watch on Friday after morning basket time. That’s another way we plan homeschool activities. Then, there are the pre-scheduled outings and activities that are scheduled early in the year. Usually around vacations or break times. For instance, this April, we are taking two weeks off for Easter break. That first week, we will be headed off to several museums and galleries. The second week, we will be in the middle of Holy Week celebrations. This outing has not only been scheduled, but reservations for hotel and guided tours have already been arranged. Those are just three ways that we plan our homeschool activities. There are many articles with how-tos and examples of ways to plan homeschool activities. Understand, however, I am not talking about planning your homeschool schedule. In other words, how you block out your educational time. And believe me, there are many ways to map out your schedule as well. As a matter of fact, we talk about it in this article. Also, the focus is not on extracurricular activities, such as 4H, Scouts or Toastmasters. The focus here is on different activities you plan within your homeschool schedule. To reinforce your homeschool studies. 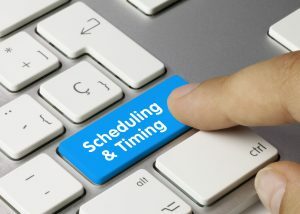 Different homeschool families will choose to schedule activities in different ways. Of course, that’s the beauty of homeschooling. No one family looks like – or must look like – another family. For example, a small family with perhaps just one child has just the same options as a large family. The difference would be the expense for one child versus the expense for several children in that large family. At the same time, a child from a large family might attend to focus on a subject area that cannot be fully explored in home. For the smaller family, an easier, delight-directed learning schedule of activities could work. Yet, a larger family may need to have more structure in how they plan homeschool activities. Just to make sure things run as smoothly as possible. A family with multi-level learners could very well end up all over the place attempting to cater to homeschool related activities. So, they may want to look further ahead in the calendar. Say, month to month, quarter to quarter, or semester to semester. As well, a single parent homeschooling family may find it easier to schedule in advance because of work obligations. Or even just plain home keeping needs. Whichever the case may be, a homeschool activities plan can help you reinforce your kid’s education in an engaging way. You might even find it fun also. I know I’m looking forward to a leisurely stroll through art galleries. And a relaxing day at the kids’ museum while the (salaried) tour guide takes control of the reigns.